Today marks the 30th anniversary since Liverpool’s Albert Dock was first opened as tourist attraction, so were going take you through the best things to do and must attend events of this summer. The dock originally opened in 1846 and remained fully working until closing in 1972 and remained derelict and a sore point with city residents for more than a decade. It later underwent a huge restoration programme and was reopened as a visitor attraction on 24th May 1988 by HRH Prince Charles. It remains the UK’s largest group of Grade I listed buildings. The magnificent Albert Dock Liverpool is one of Britain’s top heritage attractions. Since its reopening, the docks have become the vibrant heart of Liverpool’s historic waterfront and are a major contributor to the city’s tourism industry. But the docks do more than just help build the city’s economy. It is the place to explore, see, eat drink and stay. It blends the city’s history with the top contemporary attractions. Bringing culture, artwork and excitement to our doorsteps. To celebrate our glorious Docks, we’ve put together our top 5 things to do at The Albert Docks this summer. 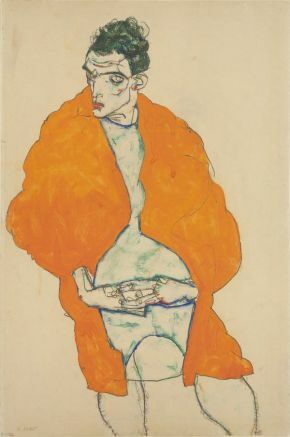 Life in Motion is an exhibition at the Tate showcasing a collaboration of artwork from Egon Schiele and Francesca Woodman. Described as ‘a close encounter with deeply personal and powerful works of art’, this really isn’t one to miss. Both artists are known for their intimate and unapologetic portraits that capture their subjects emotions. The exhibition will no doubt provide an intense and perceptive viewing experience. This exciting event links a trio of vibrant port cities – Liverpool, Dublin and Bordeaux as the city is transformed into three cultural festivals. Liverpool Festival will take place in the city centre, Irish Festival at the Albert Dock and French Festival on the Pier Head. Each event will have its own individual atmosphere and cultural experience. The Albert Dock will be playing the role of Dublin and traditional Irish food, drink and music will feature as a historic ship is taken over for the weekend. An exhibition revealing the contribution Black sailors have made to some of the most significant maritime events of the past 500 years and based on the book ‘Black Salt: Seafarers of African Descent on British Ships’ by historian Ray Costello. The exhibition will combine memorabilia with personal stories and educate people on the struggles and dangers Black seafarers faced whilst at sea. Europe's leading wine event, Fete le Vin, is coming to the River Mersey and it is the first time it has been hosted by a UK city. The event will include masterclasses, tastings, wine and food pairings and live jazz all across the May Bank Holiday weekend. Ticket holders will be given a special-branded glass and a carrying case and will be able to try up to six tastings whilst learning about the diversity of the wines. Tickets are on sale from £18. Folk On The Dock is a folk, roots and acoustic music festival taking place over the August Bank Holiday where a range of world-class, local, national and international artists will perform. The event will be celebrating Liverpool’s rich heritage history and there will be a range of free stages all over the Albert Docks as well as some ticketed events which can be purchased online.